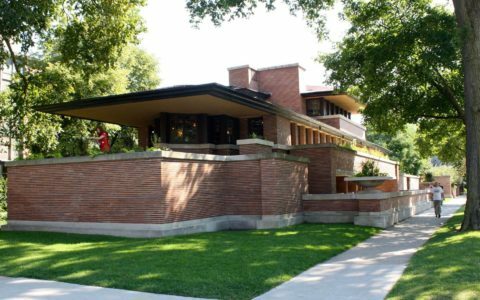 The Charles Ennis House is a spectacular design of world-renowned architect Frank Lloyd Wright. 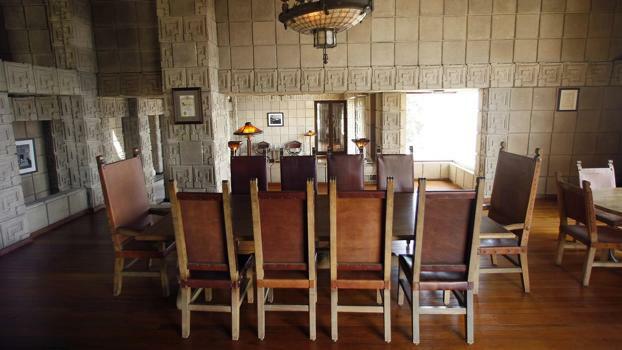 Built for Mabel and Charles Ennis in 1924, this Modernist house sits over the city of Los Angeles, in a hillside of Griffith Park. 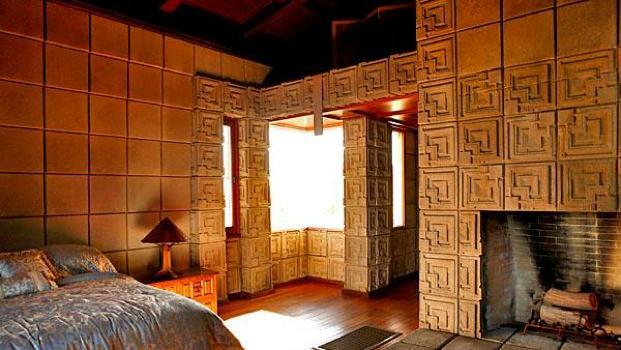 The Charles Ennis House was the fourth structure in a series of houses constructed with decorative concrete blocks and was designed by Frank Lloyd Wright with his love for Mayan art and architecture. 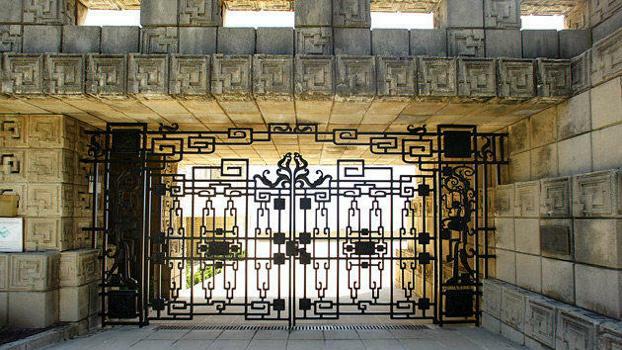 This residence has a rather obvious connection to the culture’s ornamented, symmetric, and organized buildings. 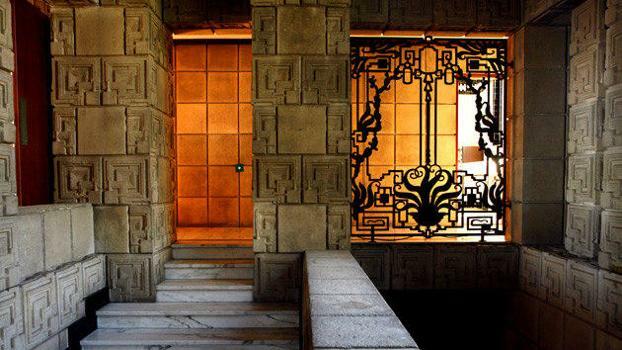 The Ennis House is known for fusing many of Wright’s traditional architectural practices with an understanding of lifestyle preferences in sunny Southern California. 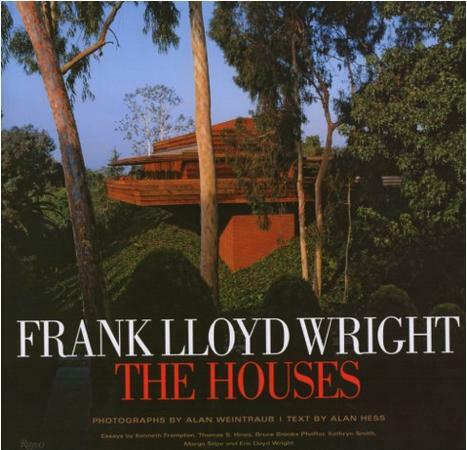 Its design breaks the typical Frank Lloyd Wright style by having high, lofty ceilings. This accounts for the design having walls made of concrete blocks rising above the window line. 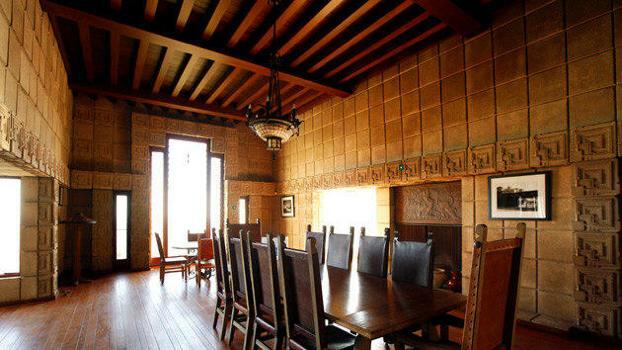 The design of the Ennis House is essentially a two-bedroom, with a guest room next to the dining room. 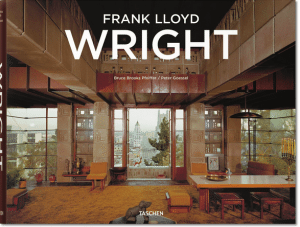 The bedrooms are set apart from one another and connected with an enclosed gallery and open terrace. Raised above the living room are the kitchen, dining room, and guest room. 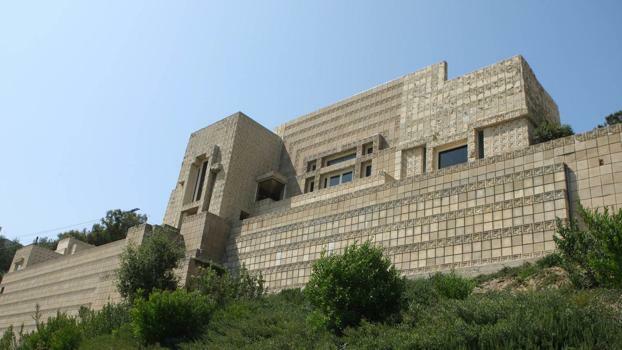 With the Ennis House being composed of solid concrete walls, naturally it would be thought that light penetration would be at a minimal. However, there are puncture holes in the concrete to create avenues for light to filter into the residence. 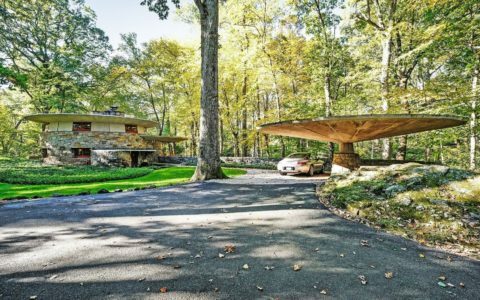 While this design has been a feat architectural and visually, its natural impurities from incorporating decomposed granite into the blocks’ concrete mix have been found to have premature decay when faced with regional air pollution. 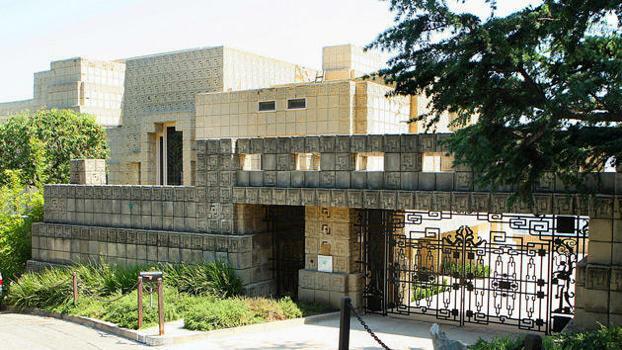 The Ennis House consists of two structures: the main house and a detached garage with an apartment. These two buildings are separated by a paved courtyard overlooking the greater Los Angeles cityscape. 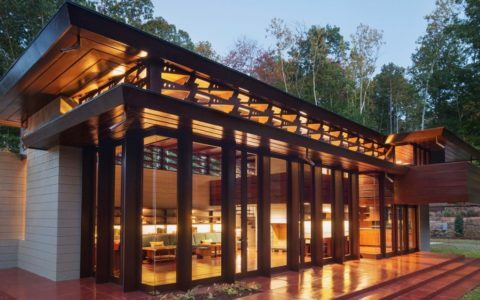 The two structures work together to dominate the landscape and properties in the community by having the 10,000 square-foot residence expanding across the top of the hill. 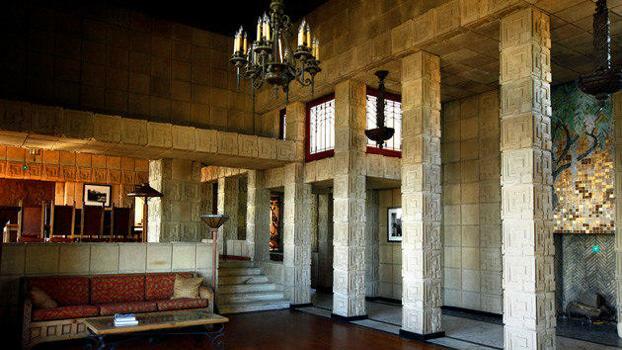 Such a look has helped the Ennis House, recognized for its unique design and quality, to be used in films like 1975’s The Day of the Locust and, more famously, 1982’s Blade Runner. 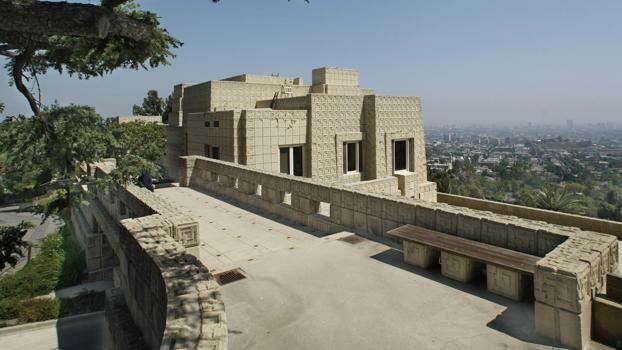 The house is often referred to as the Ennis-Brown House due to being renamed upon its donation to the Trust for Preservation of Cultural Heritage by Brown—Brown referring to Augustus O. Brown, who purchased the home in 1968. 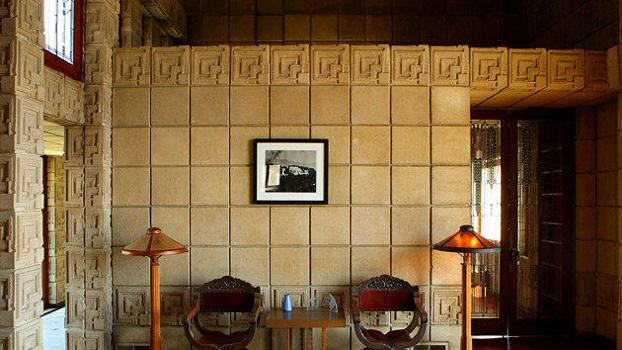 The Ennis House Foundation has made efforts toward renovating and repairing damages to the Frank Lloyd Wright architectural landmark. 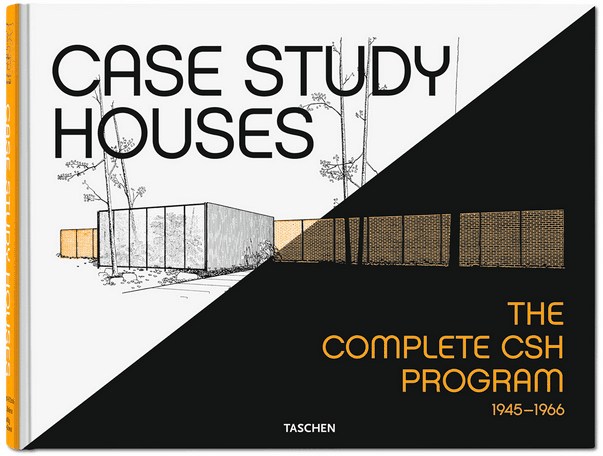 However, the property has been listed at various multimillion-dollar prices in recent years.